It wasn't every day the faeries claimed the man your friend loved. in 1100 years, Robert Adair would build Dunskey Castle. Everything Suellen said reinforced Marybeth’s resolve to get away from here. was ainly trying tae break the clan’s druid curse." This was about as many words as Suellen ever got out before she drifted off into sobs. They would walk along for 30 feet or so, and then Suellen would start in again. were gaun’ae make me a fort slave." Marybeth. Tell me they're gaun’ae find him and bring him back." Sobbing and blubbering and crying, the tears soaking into Marybeth's right shoulder. thick wool. The air was chilly, but the wool kept her warm even when damp. stay here in the year 71 AD one minute longer, let alone a week longer. were popular back at home in the 21st century. were with them, they looked back so infrequently. does na give it back, they wull surround her and take it by force." turn her head once in a while to see the expression on Marybeth's face. She did now. steal it back from her." Connell and his brother Friseal were back with them now. we can save Donnan. End o’ discussion." 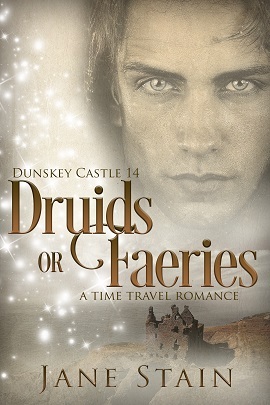 Pre-order Druids or Faeries now! In 1435, Sean MacGregor, as yet childless, settled a gambling debt by selling every fourth-born son of his descendants into slavery to a druid. This druid later founded Celtic University and recruited other druids to be its staff. The staff recruited the MacGregors to run time travel errands for them. Crossed out names indicate deceased clan members. Peadar and his father, Dall, are the same age and his sons are close to the same age as their uncles. These six boys (Tavish, Tomas, Meehall, Connell, Friseal, and Eoin) grew up together at their parents’ Renaissance faire. In their teens, they all had steady girlfriends whom they broke up with ‘for their own good’ when they all were told of The Family Curse on Tomas and Tavish’s 18th birthday. Peadar’s little brother, Dombnall, was the great-something grandfather of Ciaran, Baltair, and Donnan. Donnan's book is Time of the Fae. 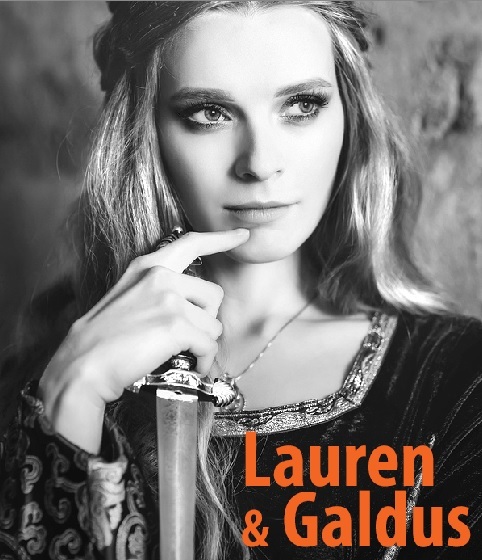 Galdus has promised Lauren time-travel adventures in auld Scotland. She's so giddy with excitement that she tricks her two best friends from work into going with her. 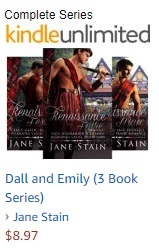 Katherine the sales guru talks them into staying at the tiny town's manor house, and Leif, the laird of the manor, has a thing for Jessica, so all is going well, right? But Galdus is getting controlling. He won't let Lauren talk sometimes, and he has started giving her orders! Time of the Druids, by Jane Stain. The book didn't take this direction, but it could have, so easily. Leif struck the bed under Taran’s shoulder, shaking him awake. "Welcome home. Dinna take this question amiss, but I need tae ken: hae ye touched Lauren? Any kind o’ touch?" “Ye hae na fortress tae guard in that respect, Leif. Ye are getting on quite friendly with Jessica yer ownself." Leif quickly shook his head no. "Nay. Listen, Lauren has a druid inside yon dirk she carries. Jessica suggested I question this druid through Lauren, tae find out what the druids want." Taran went up on his elbows and scooted himself so that he was sitting up in the bed, rubbing his bleary eyes. “Can ye say all that again? For I am not at all certain I heard ye correctly." “Aye, a druid bides in Lauren's dirk. We dinna ken if it follows the druids who visit sickness upon oor toon. We need tae find out. And there's the rub: through bodily contact with Lauren, the dirk druid can hear her mind. And the minds of anyone she ever touched, when they be nearby. Sae I ask ye again: hae ye touched her? Dinna mistake yer answer. Dinna hide anything.."
Taran’s eyes were clear now. "I would hae said she didna even know I was following her, but now I am na sae certain. Howsoever, aye, there has been na contact between us." “Good. Good, see that ye keep it that way until we hae oor answers." Taran tilted his head so that he was looking up at Leif through his raised eyebrows. "Ye got this from Jessica? Is na the lass in fevered delirium?" 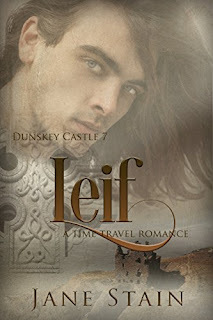 Leif tried his best to convey his sincerity to his brother with his eyes and the firm set of his mouth. "I thought sae at foremaist. Howsoever, she was lucid when she telt me about Lauren's dirk. I believe her, sae much sae that I plan tae question Lauren about what these druids want and how we can save the lives o those in oor village. And jessica's life." Taran reached out his arm. Leif grasped Taran’s forearm while Taran grasped his. It was the warrior’s agreement. Neither of them would break this oath. Taran gave Leif a mischievous smile. "I ken just the setting for questioning Lauren: the barley field." "Ye resent being oot in the field while I'm with the villagers doing battle drills, aye?" Taran shook his head no, but he winked, giving the lie to his gesture. The three men had been out in the field six hours before Lauren awoke and Senga sent her out to help them. It was backbreaking work, scything barley and putting it into the cart. "Sae glad ye could join us, Lauren. I'm betting ye dinna ken what tae dae with a scythe, sae ye can take up the bunches that we cut and put them in the cart for us. That wull be a great help." Nodding, she ran over to Luag first, for he had just cut a large bunch. They worked in silence awhile, because Leif still didn't know how to broach the subject. Finally, he decided a direct approach was best — mostly because he couldn't think of anything else. "Aye?" She called out from the cart where she was dumping Taran’s recent cut. "Will ye tell us what the druids want, the ones who keep visiting sickness upon oor village? When will they stop? Dae they want us all dead? Why?" In a manner that startled him, it was so different from her usual thoughtful silence, Lauren answered straightaway. "The druids seek victory in the coming conflict." Leif almost dropped his scythe, he was so startled by this answer. Glancing over at Taran and Luag, he saw they were affected the same way. "Sae they try tae kill us off… They wish for the Laird o the Isles tae be King?" Leif swung his scythe in a wide arc, cutting several plants at once. and then moving away quickly when he saw the panic in Lauren's eyes as she headed over to pick them up very close to his feet. Galdus the dirk druid was trying to get to his thoughts. Jessica and Katherine's coworker Lauren sure was into Scotland. She had convinced the company to participate in a trade show here, and now she was spending 400 pounds on plaid shawls for them to wear on a tour of a ruined castle. What did she expect, handsome highlanders to greet them there? And why did she insist on wearing that old dagger on her hip? Sure, it was cool, but it belonged in a museum! Celtic University is a fictional school in Jane Stain's Dunskey Castle series of Time Travel Romance novels: Tavish, Seumas, and Tomas. Her heroines Kelsey Ferguson and Sasha Swain earned their doctorates there in Celtic Artwork and Celtic Archaeology. Along with their degrees, the university awarded them silver class rings, hand wrought into intricate Celtic knots. As part of their required coursework, Kelsey and Sasha studied Celtic fairy tales. This ring is much like those Kelsey and Sasha received.